Rio Gavin Ferdinand is an English former professional footballer who played as a centre back, and current television pundit for BT Sport. 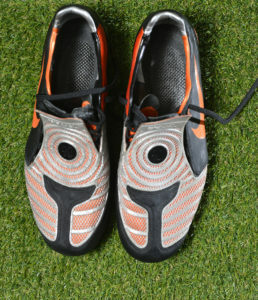 He played 81 times for the England national team between 1997 and 2011, and was a member of three FIFA World Cup squads. He is regarded by many to be one of England’s greatest ever players and he is one of the most decorated English footballers of all time. 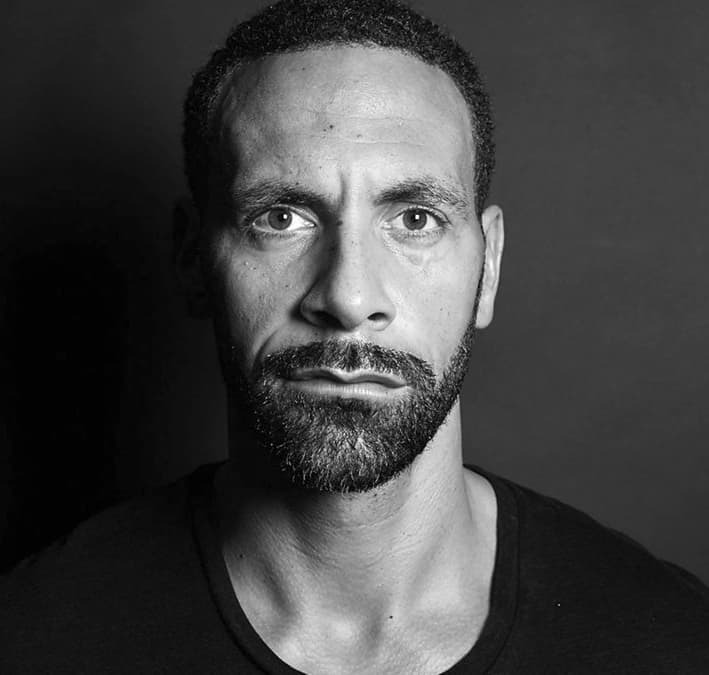 Ferdinand began his football career playing for various youth teams, finally settling at West Ham United where he progressed through the youth ranks and made his professional Premier League debut in 1996. He became a fan favourite, winning the Hammer of the Year award the following season. He earned his first senior international cap in a match against Cameroon in 1997, setting a record as the youngest defender to play for England at the time. His achievements and footballing potential attracted Leeds United and he transferred to the club for a record-breaking fee of £18 million. He spent two seasons at the club, becoming the team captain in 2001. He joined Manchester United in July 2002 for around £30 million, breaking the transfer fee record once more. He won the Premier League, his first major club honour, in a successful first season at the club. In September 2003, he missed a drugs test and was banned from competition for eight months from January until September 2004, causing him to miss half a Premier League season, Manchester United’s FA Cup triumph, and the Euro 2004 international competition. Upon his return, he established himself in the Manchester United first team and received plaudits for his performances, featuring in the PFA Team of the Year four times in five years. More club success followed with another Premier League win in the 2006–07 season and a Premier League and UEFA Champions League double the following year. His career at United, in which he won 6 Premier League titles and 14 trophies, ended when his contract expired in 2014, and he subsequently joined Queens Park Rangers where he played for just one season before being released from the club as a result of their relegation from the Premier League. He announced his retirement from professional football on 30 May 2015. His brother, Anton, also a centre back, plays for St Mirren. Former England international striker Les Ferdinand and former Dagenham & Redbridge midfielder Kane Ferdinand are his cousins. Ferdinand was capped 81 times for England, making him England’s second most capped black player behind Ashley Cole with 107. Although Ferdinand was named in four consecutive England World Cup squads (albeit without playing in 1998 and missing 2010 through injury), he never went to a European Championship due to a ban for missing a drugs test and due to England’s failure to qualify for UEFA Euro 2008. Ferdinand scored three goals for England, the first in the 2002 World Cup second round match against Denmark (although some sources credit this goal as a Thomas Sørensen own goal). The second was a near post strike that beat the Russian goalkeeper Vyacheslav Malafeev in England’s Euro 2008 qualifier against Russia on 12 September 2007 at Wembley Stadium. The third on 11 October 2008 in a 2010 FIFA World Cup qualifying match at home to Kazakhstan. England won 5–1. At the age of 19 years and 8 days, Ferdinand earned his first full England cap as a substitute in a friendly against Cameroon on 15 November 1997, making him the youngest defender to play for England at the time (a record broken in 2006 by Micah Richards). Ferdinand would have made an even earlier debut in September had he not been charged with drink-driving in the buildup to England’s 1998 World Cup qualifier against Moldova. Ferdinand was named in the squad for this game and was a likely starter; however, the public mourning for Princess Diana – whose chauffeur had been suspected of drink-driving – left Glenn Hoddle with little choice but to drop the teenager from the squad. After an impressive 1997–98 season he was selected for the 1998 World Cup squad as a back-up defender. However, he was not selected in Kevin Keegan’s 22-man squad for the 2000 European Championships. After his £18 million move to Leeds United, Ferdinand was named in the starting line-up by caretaker manager Peter Taylor in a friendly match against Italy and quickly established himself as a first-choice player under Sven-Göran Eriksson. He was selected as one of England’s two first-choice centre backs at the 2002 and 2006 FIFA World Cups, wearing the number 5 shirt. John Terry (with whom Ferdinand would later partner in central defence) replaced Ferdinand in the England side throughout his eight-month ban until his return on 9 October 2004 in their World Cup qualifier against Wales. Ferdinand played ten World Cup finals matches for England, recording clean sheets against Argentina, Nigeria and Denmark in 2002, and Paraguay, Trinidad & Tobago, Ecuador and Portugal in 2006. On 25 March 2008, it was announced that Ferdinand would wear the captain’s armband for Fabio Capello’s second game in charge of the national team, ahead of John Terry, Steven Gerrard or David Beckham, who some believed would be named captain to mark his 100th cap for his country. An FA statement suggested that the decision to name Ferdinand as captain was part of Capello’s plans of rotating the captaincy before naming an official captain for September’s World Cup qualifiers. 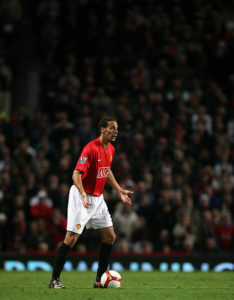 On 19 August, however, Ferdinand lost out to Terry in retaining the captain’s armband but was named vice-captain by Fabio Capello. A mistake in the match between England and Ukraine in Dnipropetrovsk on 10 October 2009 which led to the sending off of Robert Green led some to question his inclusion in the squad. A lack of match practice for his club and a series of errors such as he suffered in his early days as a footballer led to criticism of his inclusion from several corners. On 5 February 2010, Ferdinand replaced John Terry as captain of England. 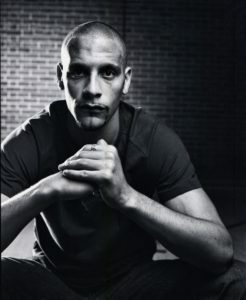 Although back and groin injury problems forced him to miss much of the 2009–10 domestic season, Ferdinand was selected to captain England at the 2010 World Cup. However, he suffered a knee ligament injury during the team’s first training session in South Africa on 4 June and was subsequently ruled out of the tournament. 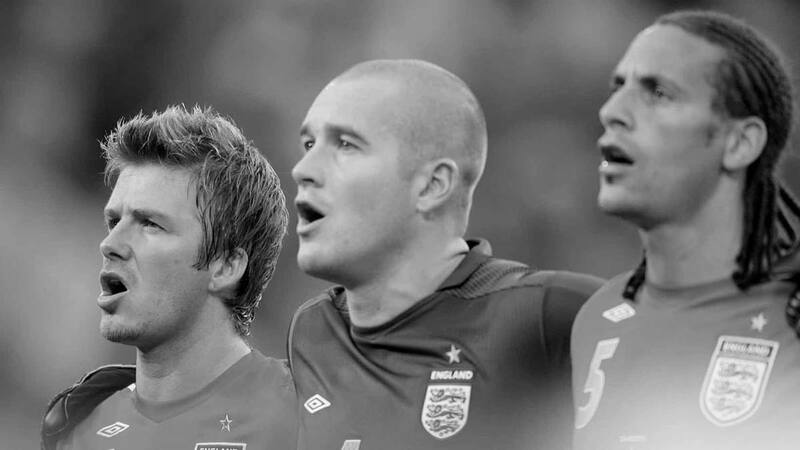 On 19 March 2011, ahead of England’s Euro 2012 qualifier against Wales, Capello announced that John Terry was to be re-instated as permanent England captain and that Ferdinand would return to his role of vice-captain. Ferdinand was left out of Roy Hodgson’s squad for Euro 2012, leading to strong speculation this was to avoid potential conflict with John Terry, who was included in the squad, due to Terry’s upcoming trial for racially abusing Ferdinand’s brother Anton.Further controversy arose when after Gary Cahill was ruled out of the tournament 22-year-old Martin Kelly with just two minutes of international football was called up as a replacement instead of Ferdinand. This led to Ferdinand’s representative Jamie Moralee accusing Hodgson of showing a “lack of respect”. On 3 October 2012, the Daily Mirror reported that Roy Hodgson had revealed to fellow passengers on the London Underground that Ferdinand would no longer be considered for England duty, despite the retirement of John Terry. Hodgson later apologised for these comments and denied that he was ruling Ferdinand out of playing for England again. On 14 March 2013, Ferdinand was recalled to the England squad for the first time under Hodgson for England’s 2014 World Cup qualifiers against San Marino and Montenegro, though subsequently Ferdinand pulled out of the squad on 18 March due to ‘fitness concerns’. 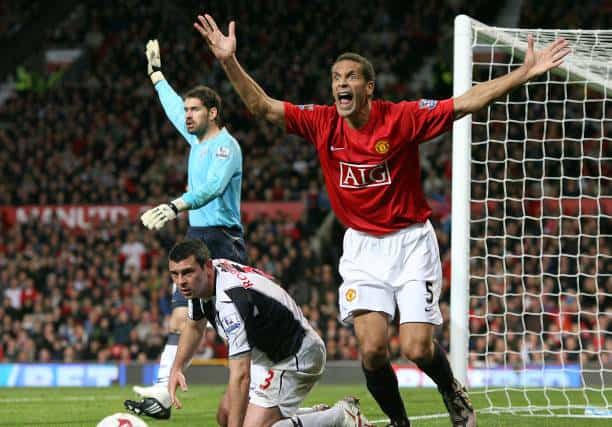 Ferdinand said he was “gutted” at having to withdraw but said it was the “right decision”. The England manager Roy Hodgson assured Ferdinand he still had an international future despite the withdrawal. In May 2013, Ferdinand announced his retirement from international football, saying that “it’s the right time to make room for young players and focus on the club career”. Ferdinand grew up in the Friary council estate, Peckham. 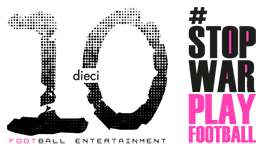 He has several brothers and sisters: one brother and three sisters on his father’s side and a brother and sister from his mother’s remarriage. 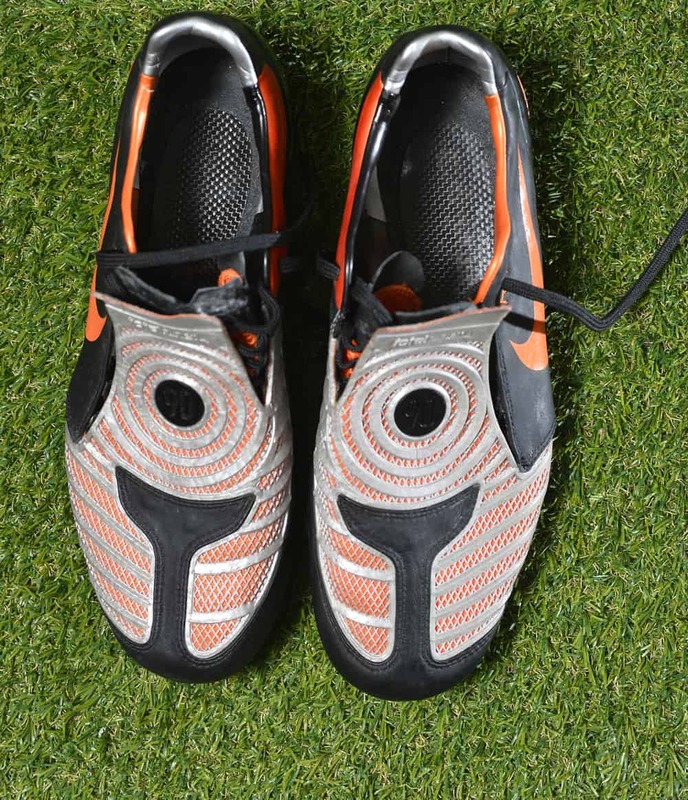 His brother, Anton Ferdinand, is also a defender who plays for League One club Southend United, while former England striker Les Ferdinand and Woking midfielder Kane Ferdinand are his cousins. Although he spent the majority of his career with Manchester United, he grew up supporting rivals Liverpool F.C. In 2006 in Manchester, Ferdinand’s girlfriend Rebecca Ellison gave birth to their first son. The couple had two more children. In 2010, Ferdinand unsuccessfully sued the Sunday Mirror to prevent the publication of a story about an alleged affair with Carly Storey. During the case, it was alleged that then-England captain Ferdinand had affairs with 10 different women. Ellison and Ferdinand married in 2009. 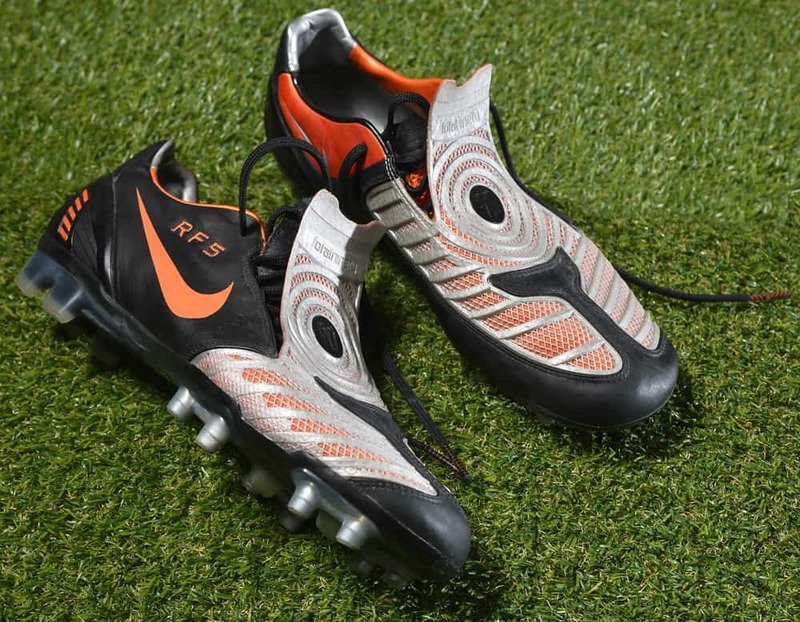 Ellison died of breast cancer on 2 May 2015, aged 34 while Ferdinand was a QPR player. Few hours later Manchester United paid tribute to ex-defender Rio Ferdinand’s wife. The team wore the black armband during the game against West Brom. while the United supporters showed that their thoughts were with the family with a minute’s applause in the fifth minute – the number of Ferdinand’s shirt with the team. Ferdinand’s memoir of his wife’s illness and subsequent bereavement, Thinking Out Loud, was co-written with Decca Aitkenhead, and published in October 2017. 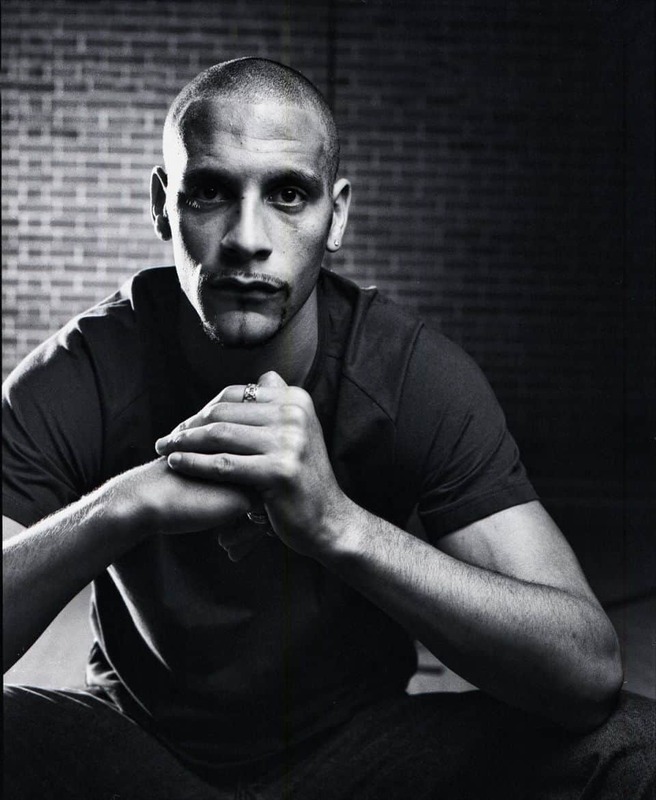 Ferdinand detailed his upbringing and outlook in his 2007 autobiography, Rio: My Story. Ferdinand is one of a small group of sportsmen to receive over £1 million as an advance for an autobiography. In September 2017, Ferdinand announced his intention to become a professional boxer, partly to help him cope with the death of his wife. His move into the ring was sponsored by betting company Betfair, who assisted him in attempting to qualify for his British Boxing Board of Control (BBBC) licence before he began training and competing. Ferdinand stated that “I’m doing this [boxing] because it’s a challenge, I’ve won titles and now I’m aiming for a belt.”It was announced in May 2018 that Ferdinand had been refused a professional boxing licence by the British Boxing Board of Control. 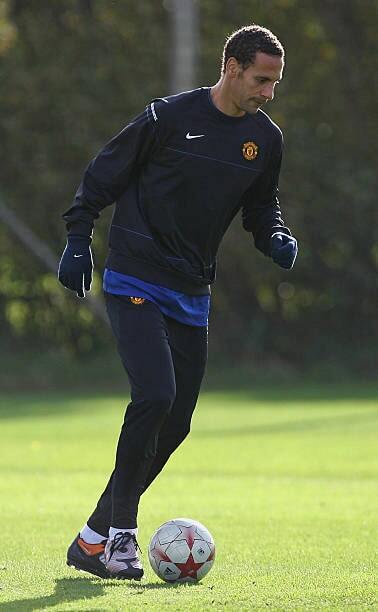 Following the rejection, Ferdinand announced that he was “hanging-up his gloves”.